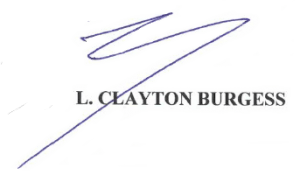 The Law Offices of L. Clayton Burgess represents some UL softball team players concerning possible Title 9 violations committed by The University of Louisiana – Lafayette. These are very serious issues that not only go to the core of gender equity, but also involve discrimination, because they are female athletes and also unfair treatment and retaliation by present ULL athletic administrators. These athletes are all great students in the classroom. They are involved in our community providing services to the less fortunate or the sick, and mentoring of young children. They are very gifted and work extremely hard at their sport to bring prestige to this University; but at this time, they feel very disrespected, mistreated and unappreciated by the athletic administration. We would like to make sure that the Lafayette community and the Ragin Cajuns supporters know that this is NOT the way we feel about them. These athletes love the overwhelming support received from the community, and we ask for your continued prayers and love for these players throughout this very difficult time.